Do you think that filing bankruptcy seems like the right answer for you, but you’re afraid of what you have heard or think bankruptcy is the easy way out? Call Dallas bankruptcy lawyer Richard Weaver and let him put your fears to rest. You’re not a failure; most who file bankruptcy are hard-working, honest people who fell on financial hardship. Bankruptcy won’t keep you from getting a good interest rate on a house or car. Bankruptcy even improves some peoples’ credit immediately. Most bankruptcy filers don’t lose their assets. Find out the truth and then decide. If you are drowning in debt and need some relief fast, you should know that you have options. Obtain the legal advice of experienced Dallas bankruptcy lawyer Richard Weaver. Depending on your situation, and whether bankruptcy is a fit for you, his law firm may have the answers and solutions to help you get out of debt. One solution that attorneys use for their clients could be Chapter 13 bankruptcy. Other options include debt consolidation and credit counseling. You may not know which option is best for you until you make the call. Don’t wait. Speak with an experienced Dallas debt relief attorney promptly. Call the Dallas-based law firm of Richard Weaver and find out how our law firm may be able to stop foreclosure on your home and help you keep your home through chapter 13 bankruptcy. While this solution does not apply to everyone, it can help many homeowners even if they have already received notice of a foreclosure action. 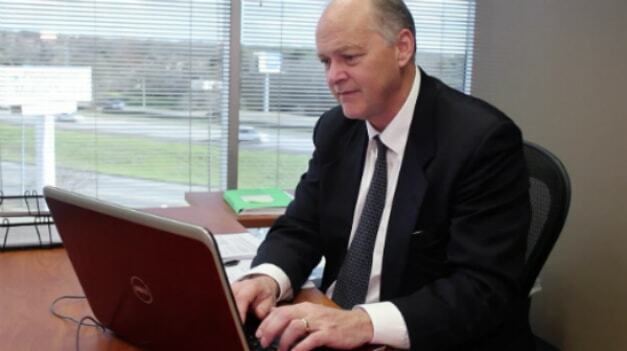 Call Dallas foreclosure attorney Richard Weaver. He will explain Chapter 13 bankruptcy and your other options for defending against a foreclosure. Evening and weekend appointments are available when needed. Call today and discuss whether we could help you in your situation with ways to stop foreclosure and thereby save your home through prevention of foreclosure. In many instances, options exist that help you prevent foreclosure by catching up the arrearages on your home while at the same time help you to eliminate unsecured debt. The chapter 13 solution could be an option that could provide you a stepping stone and a long-term plan to get out of the financial difficulties that you are facing. Do not hesitate to make the call as quickly as possible. Call us now at (817) 422-5929 or (214) 960-4125, or you can simply complete the form below, for a quick consultation regarding whether bankruptcy is right for your situation. Our Bankruptcy Attorney’s have been assisting the Metroplex for several years which has allowed us to have open several offices in that time, if you find yourself in need of a bankruptcy attorney and you live in Dallas, HighLand Park, Cedar Hill, Garland, Irving, Keller, McKinney, don’t worry we are there to help you also.